This statistic shows the impact of the biopharmaceutical industry on output in the United States in 2014. 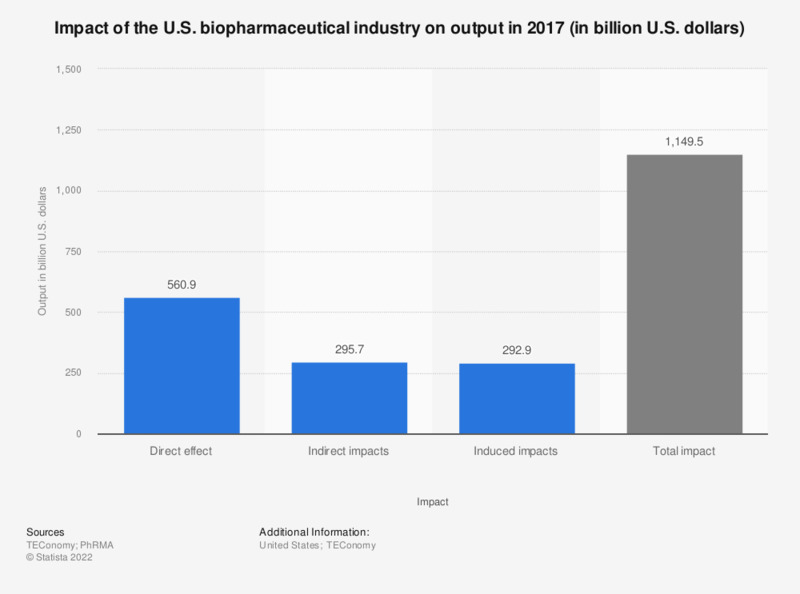 In that year, the direct effect of the U.S. biopharmaceutical industry on output was some 584 billion U.S. dollars. Output = the dollar value of production (i.e.sales).